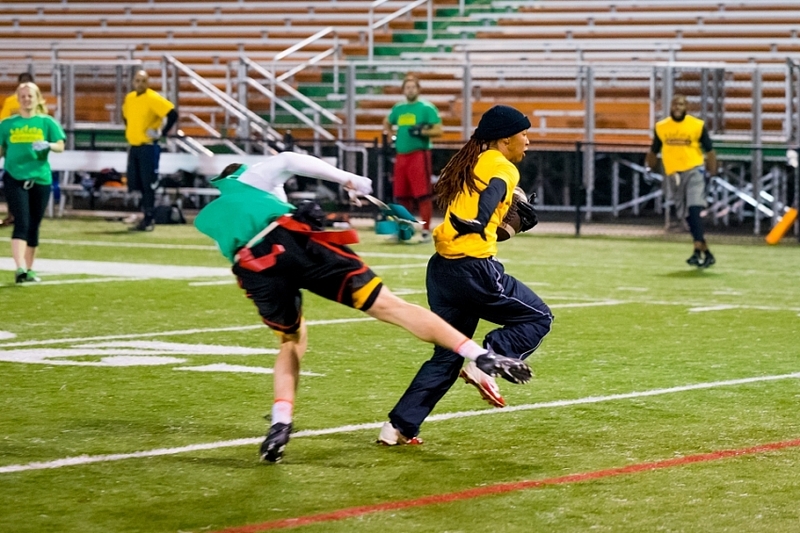 Join PLAYNOLA's men's and co-ed flag football teams on almost any night of the week as they battle for a spot in the playoffs! At PLAYNOLA, you don't have to bring ref fees to the field every week. Get your friends together and register as a team, or be placed on a team by registering as an individual (free agent). Space is limited so complete your team ASAP! Click here to get registered! Due to increased costs, effective Summer 2018, we will no longer provide team jerseys for our Flag Football leagues. Teams can purchase shirts or provide their own. Teams must have a minimum of 8 players that have registered and paid before being guaranteed a spot in the league and being placed on the schedule. For co-ed teams, this means 4 males and 4 females. Questions? Check out our FAQ page. Answer not there? Contact us by email play@playnola.com or by phone (504) 708-4330.